Floater 0.48 carat complete Diamond crystal. It is octahedral, transparent, bright and slightly yellow. 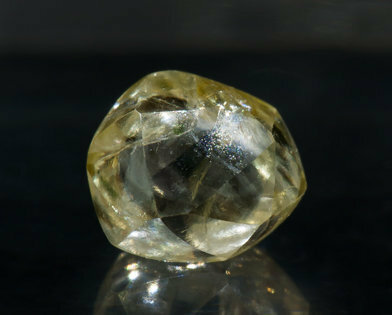 Floater 0.53 carat complete Diamond crystal. 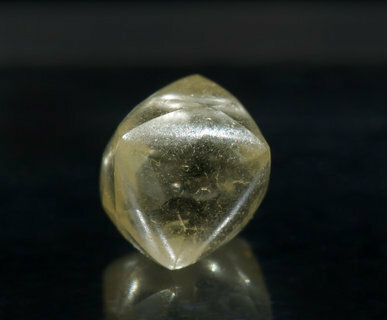 It has the predominant dodecahedron form and it is transparent, bright and slightly yellow.